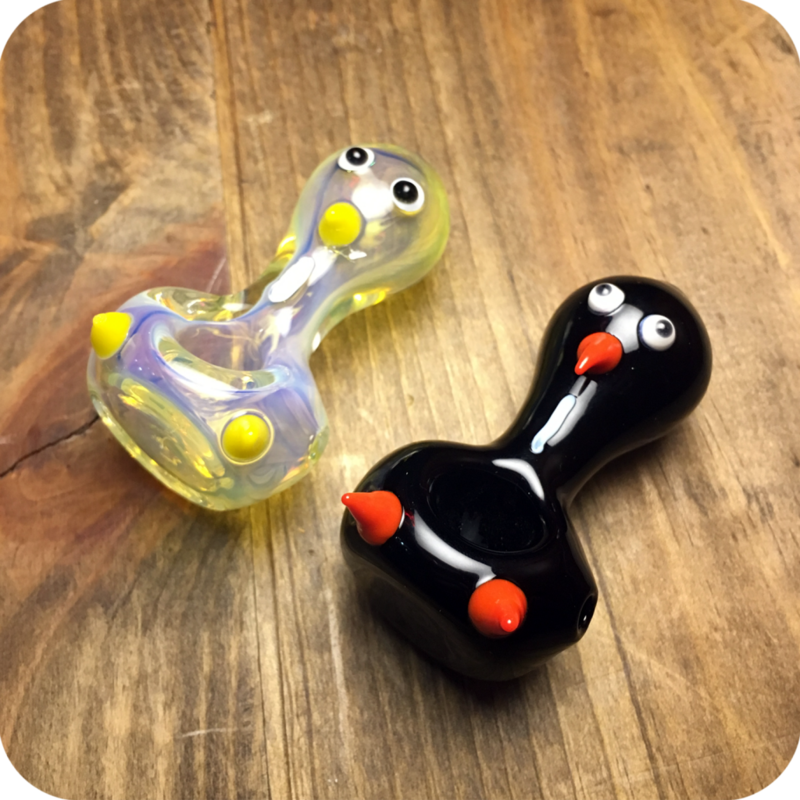 This Spoon Shaped Penguin Pipe is the perfect bowl for anyone looking for a serious smoking buddy. 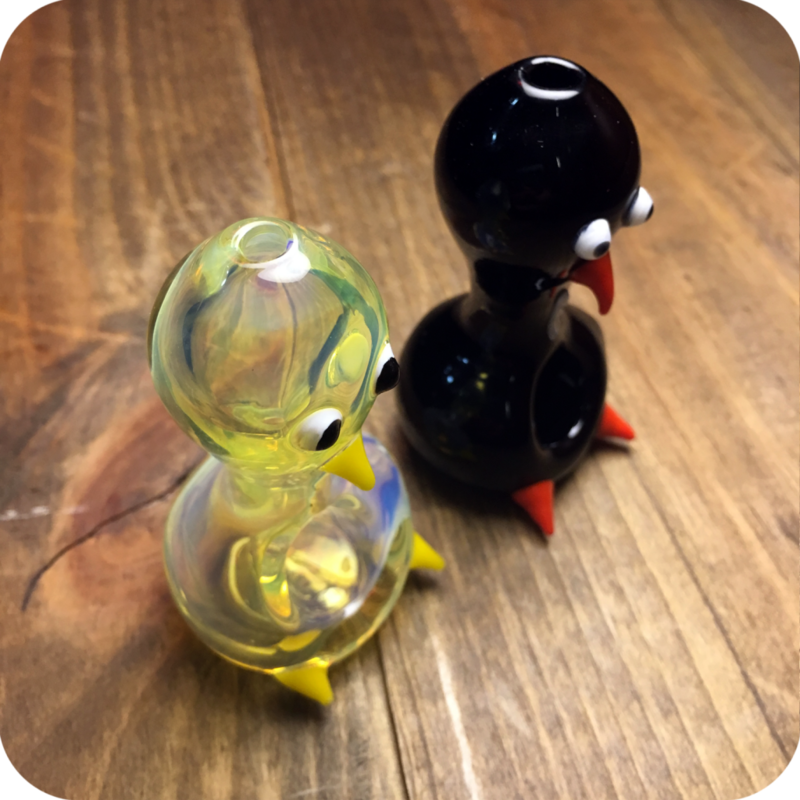 The pipe stands at just under three inches, so it could easily be taken on the go if need be. 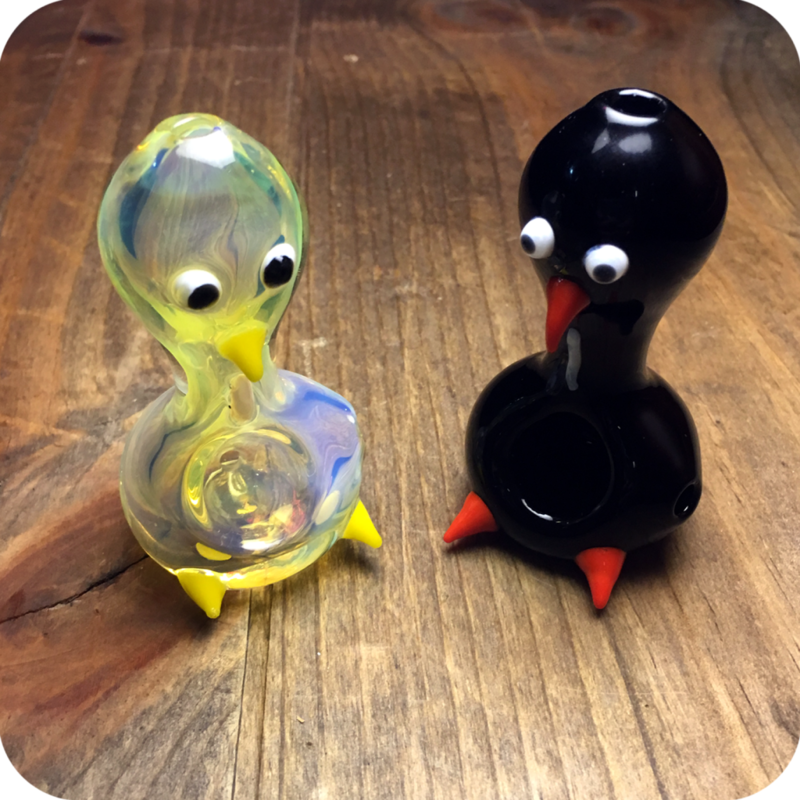 This pipe features a very generous sized bowl, perfect for passing around with friends. 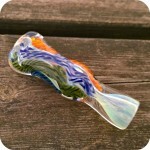 To use, simply pack the bowl with your favorite legal herbs or smoking tobacco. Light the bowl with your finger on the carburetor and slowly inhale. Then, when it is time to clear the smoke let your finger off of the carburetor and inhale one last time. It is as easy as that! It is recommended to keep this pipe cleaned regularly. Formula 420 Cleaner is a trusted cleaning solution by smokers all over the world for all shorts of glass pipes. Keep this pipe properly clean and maintained, and it could last you a lifetime! It comes in two colors as pictured so please specify which one you prefer when you place your order. Finally, do not forget to swing by either one of our three Brooklyn store locations! We are located at 12 Wilson Ave. in Bushwick, 518 Grand Street in Williamsburg, and 377 Metropolitan also in Williamsburg. Tags: animal pipes, Penguin Pipe, Spoon Shaped Penguin Pipe.